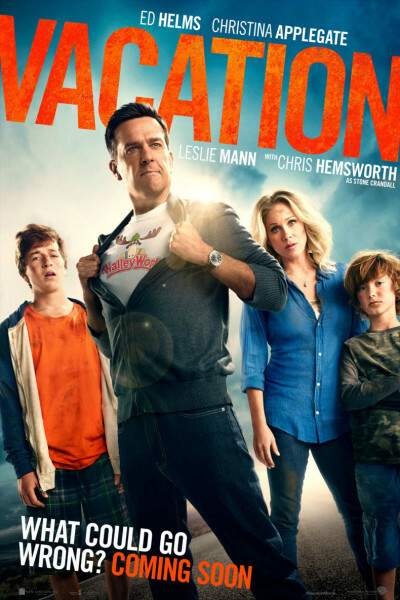 Oh boy...the latest Vacation reminds me very much of the original: it's fresh, lots of goofy sight gags, killer quotable one-liners and awkward pauses, and wholeheartedly deserves the R, but had the Alamo audience of 300 howling so loudly, so purely, so continuously that I'm pretty sure peas and milk flew from noses. When you're in the mood for blue, SNL-like juvenile humor that means well, this is the ticket. You'll roar and grimace in equal measure, but definitely have a fun time. Just remember, unless you wanna pay for therapy bills the rest of your life, leave the kiddos with a sitter.